It is obvious that still there is a great demand for the analog surveillance systems because of its cost. Though the system is cost effective, the analog CCTV systems are still being used for many surveillance applications.As everyone knows IP cameras are more advanced than the Analog Cameras so most of the people are switching their CCTV Systems. However, with the help of Bosch DVR, we are capable of providing high-quality video recording feature for all our customers. With the introduction of Bosch DVRs, a new way of handling the videos has taken place. In reality, DVR or Digital Video Recorder convert analog signals to digital and it makes it possible to view and manage the videos in new digital format. Digital Video recorders are well suited for who wants to use the analog cameras and want to enjoy the quality of the digital format. CCTV Dubai is keen to delivering a reliable and effective CCTV solutions in a cost effective manner. As a trusted CCTV Solution Provider in UAE, We assure our customers a quality installation procedure that satisfies your entire need with this CCTV System. Having implemented various CCTV security system in Dubai, we realized that the best CCTV solution can be acquired with trusted brands like Bosch.We pride inside us supplying the best service using these Bosch security systems to satisfy the customer needs. Bosh DVRs enables you to effectively manage and examine the videos in ways you desired. Bosch DVRs are available in different models with varied features. some of them offer high definition 960H real time recording. These DVRs are competitive and have HDMI ports and VGA Ports (in some model). It supports mobile devices operating on both IOS and Android platforms. It has the network function for remote viewing, playback, control, and alarm trigger. Simultaneous recording, playback and recording are possible with the Bosch DVRs. It has good storage capacity. The Bosch DVR is designed to be more flexible and reliable. With the advanced features and functionalities, these DVRs can be exploited to use for any kind of surveillance applications. The product lineup comprises of Bosh DVR, Bosh analog cameras and Bosh IP cameras as well. We are having a team of expert professionals who are devoted to executes any CCTV surveillance needs of the customers with greater efficiency. 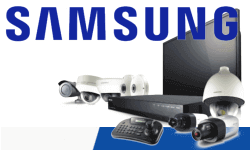 We always distribute best of the CCTV security systems with the cutting edge products from established Brands. Bosch CCTV is one of the most trusted brands in this sector. They have a wide range of products in both analog and IP CCTV systems that can satisfy any requirement for a CCTV Security System. We are happy to serve our customers with this most trusted brand these days. Over these years we have expanded our customer base from Dubai to other parts of UAE too. We deliver our services in Umm Al Quwain, Ras-Al-Khaimah, Sharjah, Umm Al Quwain, Al Ain, Abu Dhabi and Ajman. If you have planned to install total CCTV security systems at your workplace in Dubai, UAE, we are here to assist you. We can provide solutions to all kinds of CCTV surveillance requests which can be dealt with the range of Bosch CCTV security products including the Bosch Analog Camera, Bosch IP cameras, Bosch NVRs and Bosch DVRs.